This jacket combines bold colorblocking for a sporty look. Features include an interior media port with cord guide and sleeve cuffs with thumb exits. It has stylish touches which include a contrast coverstitch on the body and reflective taping detail on the back yoke. C7 crossed flags and Corvette signature embroidered on left chest. 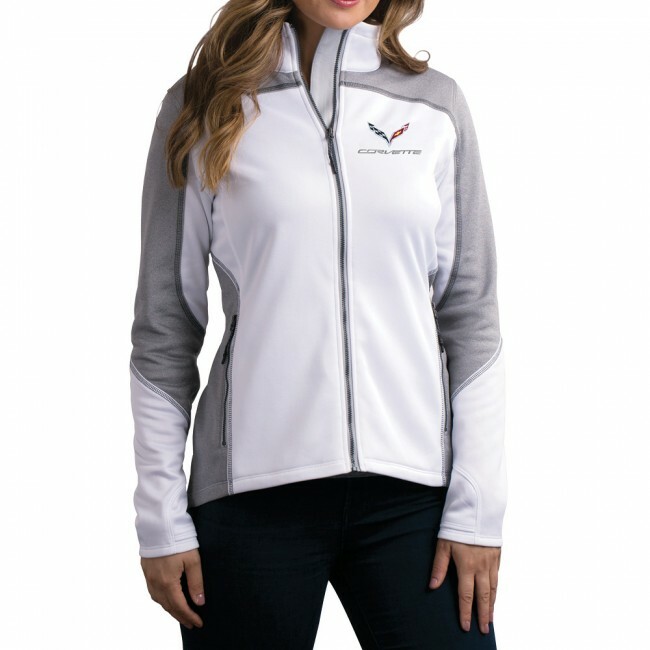 100% polyester knit fabric with brushed back and moisture-wicking finish. Imported.